This week we have friends from North Carolina visiting: Maryann (AKA Fotomom), Joey and Johnny. Jacob and Joey were in the same preschool from 2005-2008 and were two peas in a pod, while Timmy and Johnny were best buddies as the respective little brothers. We took dozens of great road trips together! 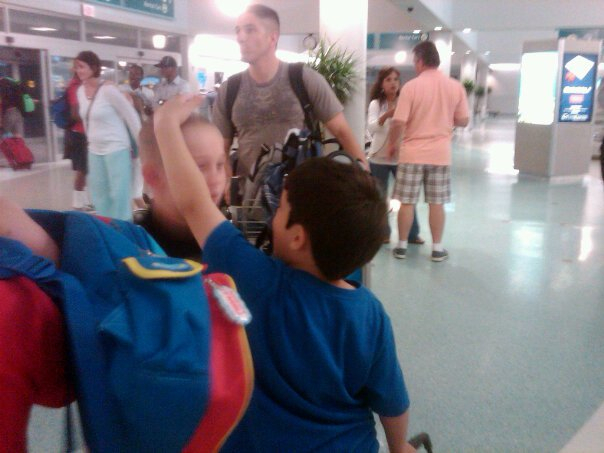 Joey and Johnny obviously knew about the trip (they were getting on a plane, how could they not?) 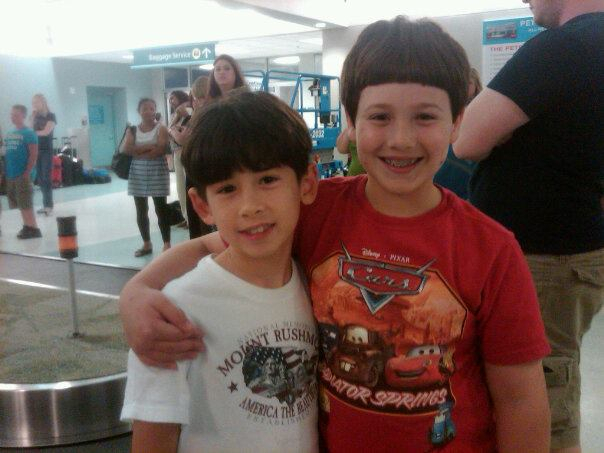 but we kept the visit a big surprise from my boys until they saw their friends in the baggage claim area at Pensacola Airport last night. Johnny couldn't get over how short Timmy's hair is! It took Jacob a few minutes to sink in that his friends are really here! 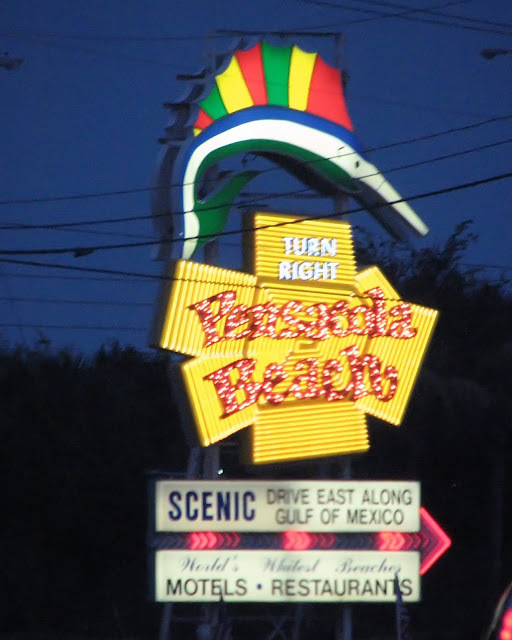 On the way back from the airport, I gave Fotomom a challenge: to photograph the famous Pensacola Beach sign in the dark. I slowed down the truck to about 30 mph and Maryann gave it a shot with a "sports" setting on her Canon camera. I love it! I love that sign because it reminds me of Vegas. The yellow emblem's lights radiate outwards, and the lights in the words "Pensacola Beach" sparkle.